CATX A STORY. — Txikiteo | Now accepting regulars. At Txikiteo, we like stories, told around our fire-pit with a glass of wine or shared over the morning paper in our sunny dining room, fresh cappuccino in hand. That’s why we’re sponsoring Story Story Night’s February 26th event at Jump. All season long, Story Story has been braving the elements with periodic table-themed tales told by locals (you can listen here to previous episodes like “Carbon,” “Gold,” and “Oxygen”). February’s theme is "COPPER + ZiNC (BRASS),” and like brass (an alloy of the elements copper and zinc), shiny things happen when you bring the elements of storytelling and community together. Musical guest Boise Phil Brass Quintet is one of the philharmonic’s four chamber ensembles, showcasing some of Boise’s best musical talent. A favorite in the Phil’s Pub Crawl series, the Brass Quintet will keep you on your toes. One of the most famous copper sculptures in the world is the Statue of Liberty. 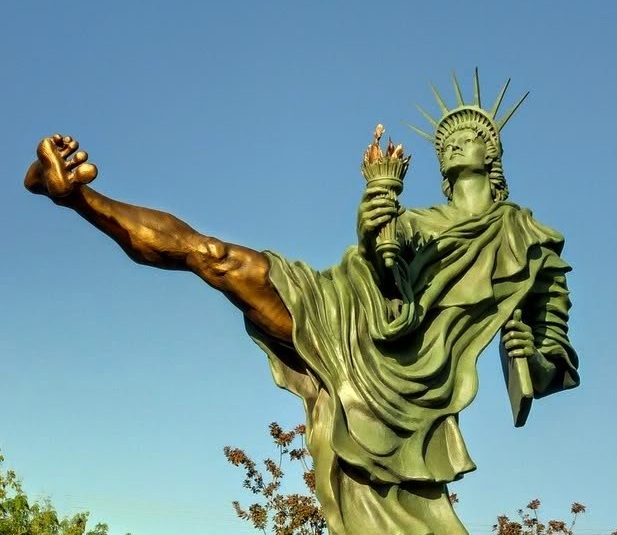 In response to the 9/11 attacks, local artist and Storyteller Irene Deely made her own version of Lady Liberty, depicting her in mid-martial-arts-stance, one brassy leg kicking out from beneath her copper drape. She then toured the sculpture across the country. Deely will speak about what happens when artist intent separates from public perception, and how a sculpture gets reduced to its core elements. As a collector, Storyteller John Mutch got his start sorting pennies at a rural school outside Rupert, Idaho. But rather than taking the predictable route into coin collecting, Mutch began collecting tokens instead. One of his prized possessions is a brass token from Idaho City, the only one west of the Mississippi categorized as a Civil War token. Show at 7 pm in the Pioneer room. $12 in advance or $15 at the door! Live music. All ages. Beer, wine & appetizers.